Grease with melted butter a pie pan (22 cms diameter). Put the mango on the pan. Combine flour and sugar while adding the coconut milk and melted butter and the whisked eggs, stirring until mixture is uniform. Pour the batter over the mango. Serve warm and sprinkled with icing sugar. 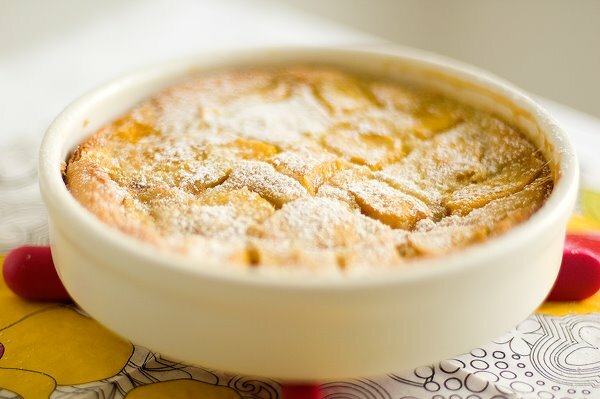 Flognarde is a variation of the typical french clafoutis. - The flognard is made with any other kind of fruit. 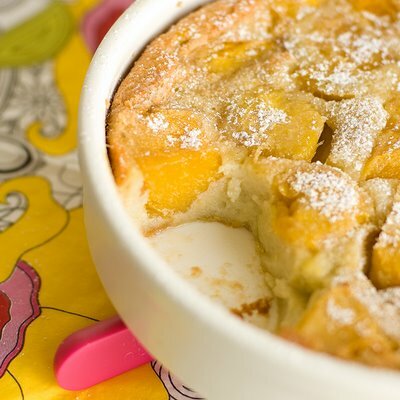 WOW, I thought they were all ‘clafoutis’, so thanks for clearing that up…’flognarde’ here I come! Yours looks beautiful! What an interesting dessert and so simple too. I have all the ingredients at home. I’ll try it today. Thank you for another fabulous post! You make the most beautiful things. 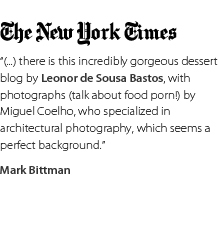 Love the food, love the pictures! You came to my rescue today. I needed a dessert for a party, and I have no proper milk in the house. It’s in the oven *right now* after all of 20 minutes of work. Thank you so much. What about the eggs? I see eggs in the ingredients, but I don’t see them in the recipe.